The new Time Inc. UK event on the summer season calendar, the Field & Country Fair, will take place at Cornbury Park, Oxfordshire, from Friday 10 - Sunday 12 June 2016. Time Inc. UK, the publisher of The Field, Shooting Gazette, Shooting Times, Sporting Gun, Country Life and Horse & Hound further expands its portfolio of events with the launch of the Field & Country Fair, celebrating the British countryside and field sports. The Field & Country Fair will take place at Cornbury Park, Oxfordshire, as part of the summer season calendar, from Friday 10 – Sunday 12 June 2016. 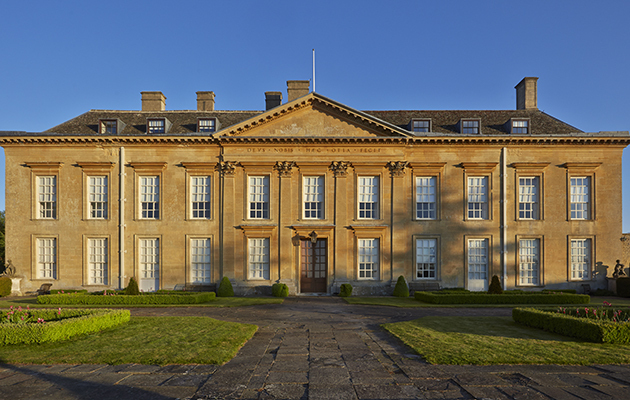 Cornbury Park is the family home of Lord and Lady Rotherwick, and is well known for the Wilderness Festival, as well as being a working estate. Jonathan Young, editor of The Field, says: “Our brands set the standard for those who are passionate about field sports and the countryside and the Field & Country Fair will add to the consumer experience. “It will be an authentic, hands-on, very British show combining the best equipment, accessories and luxury products, from food to clothing. Activities will include shooting, dogs and fishing and of course the chance to try and buy the best guns and kit on the planet. Mark Hedges, editor of Country Life said: “This promises to be the great gathering of the field sport and rural communities in 2016 – the celebration of our interests, passions and way of life”. Time Inc. (UK) has appointed Fiona Eastman as show director of the Field & Country Fair. She previously worked at the CLA Game Fair.